A seasoned content strategist, editor, and writer with more than 15 years of experience, Kanupriya provides communications-strategy leadership that, supporting a user-centric approach, to a diverse array of clients. She oversees projects throughout their entire lifecycle—from research, analysis, content strategy, and design to content creation and testing. She also regularly writes and edits features and columns for leading magazines, newspapers, and Web sites. 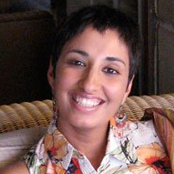 Kanupriya has a Master’s in Journalism and Mass Communications from Arizona State University. Connect with Kanupriya on LinkedIn.